July is full of lush growth at my allotment, the potatoes are happily growing away and we have had a first crop of early spuds, summer fruits are ripening, the tomato plants are looking healthy and the pumpkin vines are starting to sprawl across the soil and will soon take over. The French beans seem a bit behind and sadly a couple of my broad beans have been decimated by blackfly. Every year you learn a little bit more and make changes and think of new ways to improve your crops. The weather is great now but a few weeks ago it was pretty cool and wet, I wondered if my tomatoes would grow at all. British weather is very unpredictable and we have a relatively short growing season. One way to overcome this is with a polytunnel and every fruit and vegetable grower should look at having one for extending productivity and ensuring a bumper harvest. They make them in so many sizes that even if you have a small space, there are mini ones available. My father has a polytunnel for growing tomatoes in and he can grow so many varieties, tomatoes meant for sunnier areas such as San Marzano and they do really well. Having a polytunnel on the plot takes away some of the limitations of growing in the UK. So what else can you grow in a polytunnel? Well anything really but what they are great for are getting very early crops of potatoes so lessening the hungry gap in spring, the space when there is little available to eat. All year round salad - you can grow all your wonderful leafy, nutritious salad varieties all year round. Perfect for growing aubergines, cucumber and chillies. All of these I have tried but had little luck as the UK weather is generally just too cool for them. However, with a polytunnel you are going to have more success, the temperature is better regulated and you can try those fruits and veg that are normally better grown in Mediterranean temperatures. Carrots are normally hard to grow outside as carrot rootfly loves to ruin them for you but with a polytunnel you can throw them off the scent and have better success. Flowers are perfect for growing in polytunnels. I used to work at a little farmer's garden shop and we had a polytunnel where all the hanging basket flowers were grown and then brought on into wonderful cascading displays ready for very satisfied customer to adorn their house fronts with. Of course you need to keep a good watering regime as the rain isn't going to get inside the polytunnel and also keep them ventilated, especially in hot weather like this week. 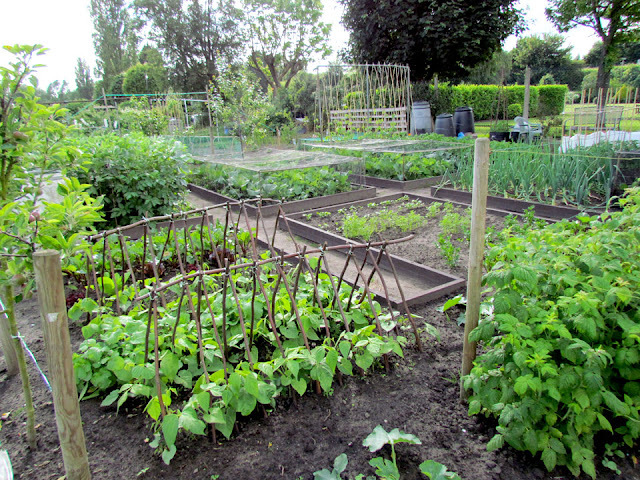 But with the extra goodies that you can grow I think they are a good investment and one I would love if my allotment committee would let me. My dad is lucky as he has a great site where they have more flexibility. 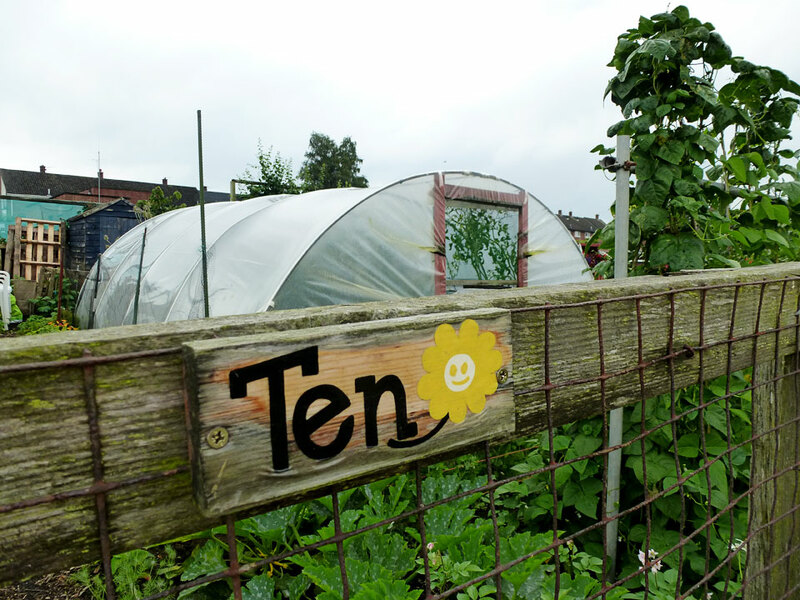 Have you grown in a polytunnel? Any recommendations of fruit or vegetable to try growing in one. I'm going to see if my dad will let me have a corner of his!